Pampers Pure Baby Wipes 672-Count, $18.91 at Sam’s Club (Reg. $29.98)! 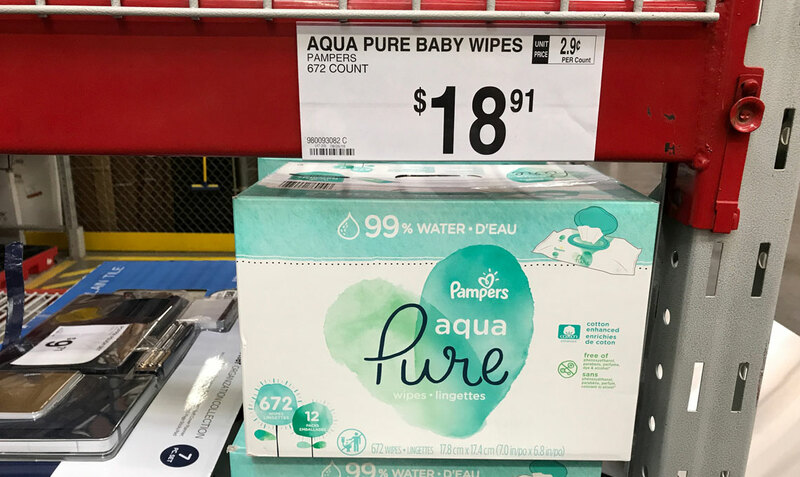 Check Sam’s Club for a clearance deal on Pampers Pure Baby Wipes! There’s no need to clip a coupon or scan a rebate offer to save $11.07 on a 672-count box of Pampers Pure Baby Wipes. Sam’s Club has lowered the price to $18.91. That’s just $0.03 per wipe. We’ve never seen a price this low on Pampers Wipes at Sam’s Club. This item is a clearance item and won’t be reduced any more. Any time a product price ends in “1,” it’s on its final reduction. These wipes are made with 99% water and premium cotton, and promise no fragrances, alcohol or dyes to irritate your baby’s bottom, hands or face. The post Pampers Pure Baby Wipes 672-Count, $18.91 at Sam’s Club (Reg. $29.98)! appeared first on The Krazy Coupon Lady.